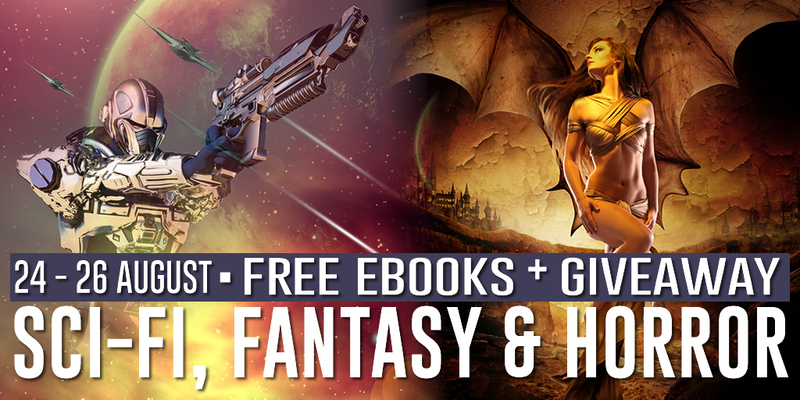 Looking for another way to promote your Science-Fiction / Fantasy / Horror ebook? Then join the SPRT Multi-Author Cross Promo Giveaway and reap the benefits of cross promoting with other authors in your genre. Payment is made if your ebook is accepted. We will also run a Rafflecoptor on the site. In order for the readers to enter they have to consent for an author to add them to their mailing lists and/or share the promo. Each entry will give them a chance to win Amazon Gift Cards—if there is a large enough budget then Kindles may also be included as a prize. Authors can also share it on social media and we’ll set up a Facebook group to facilitate sharing of posts/tweets, etc. We’ll even provide pretty images! Readers will start downloading free ebooks in the sub genres that they love, joining mailing lists and sharing the promo with their friends. Your ebook MUST be Science-Fiction, Fantasy or Horror. Sub genres are welcome as well as cross genres–provided one genre is Science-Fiction, Fantasy or Horror (see submission form for more information). The ebook you submit MUST be available for FREE (perma-free or temp-free) for all three days of the promo: 24 – 26 August. The deadline for all submissions is 20 August 2016. And don’t forget also boughts! Because when readers are downloading your ebook they’ll also be downloading the ebooks of other authors in the promo and everyone’s also boughts will be relevant and help with discoverability! We’ll be running two promo giveaways side-by-side! One will be an American (and rest of world) promo with the giveaway prize being an American Amazon Gift Card. The other promo will be UK specific, with the prize being a UK Amazon Gift Card! Please note that we have added a second new requirement: If your ebook is part of a series or serial then it MUST be the first, a prequel or the boxed-set. We will not accept the second, third, fourth, etc ebook from a series. Please note that since this is the second time we are running the Sci-Fi / Fant / Horror promo we have added a new requirement: If you were involved in the previous Science-Fiction / Fantasy promo then you MUST submit a different title for August.